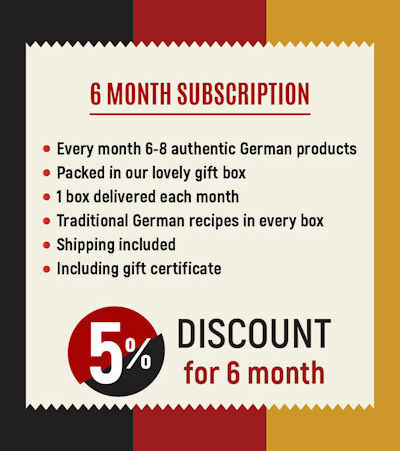 Looking for the perfect gift for any occasion - why not surprise your loved ones with a handpicked selection of German food items every month to create a new culinary experience. 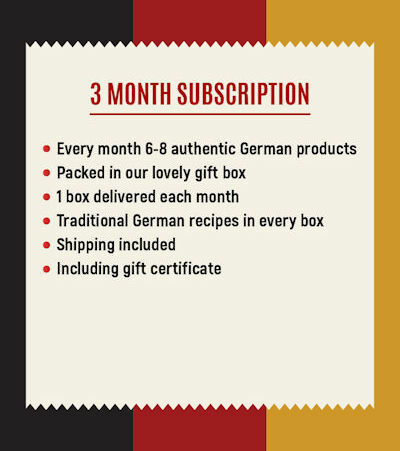 Explore German culture by enjoying the delicious products in the German Food Box. It`s very easy: You simply print out the gift certificate and present it to the gift receiver at the special occasion. It is the gift that keeps on giving! 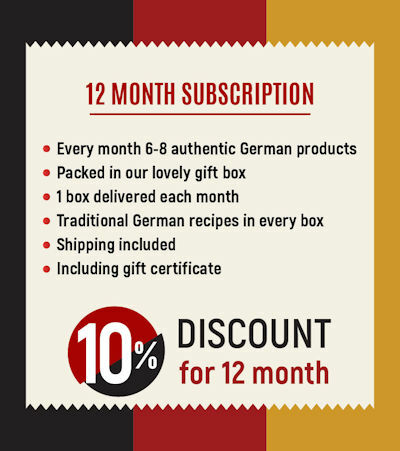 The subscription will end automatically after the period you have chosen, no cancellation needed.